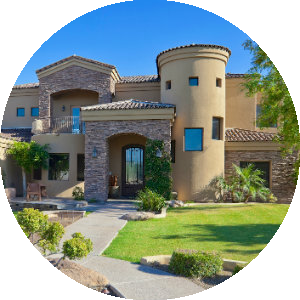 Los Gatos is a gated development in the Pinnacle Peak Area of North Scottsdale offering beautiful upscale luxury homes, a family oriented neighborhood with paved streets and walking paths. 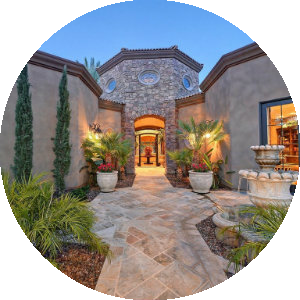 Los Gatos real estate is located at the intersection of Pima Road and Thompson Peak Parkway with easy access to biking and hiking trails, the Pinnacle Peak Country Club and the 101 highway. This covenant protected community upholds the neighborhood standards and the homes here blend harmoniously with the natural desert landscape. 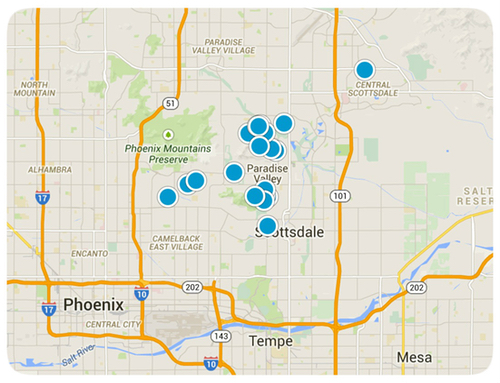 Los Gatos is one of the most sought after locations for Scottsdale real estate. This beautifully designed neighborhood includes a combination of custom built homes that complements the surrounding landscape. 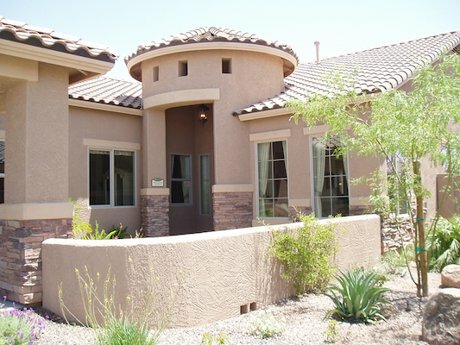 The community features 88 Santa Fe style custom homes on acre + lot sizes. Construction on these homes began in 1978 and was completed in 2007. The home sizes range from 2,500 sq ft to 6,000 sq ft. Some of the most requested Paradise Valley Unified Districts serve this community including; Grayhawk Elementary, Pinnacle Peak Elementary, Mountain Trail Middle School, and Pinnacle High School. You'll find the very latest homes for sale in Los Gatos featured below. This information is updated throughout the day so be sure to check back often! Search the complete inventory of Los Gatos homes for sale by price, community amenities, square footage and more using our detailed ADVANCED SEARCH option. See something that interests you? Want more information? 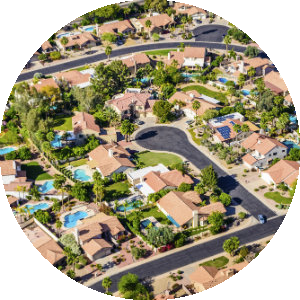 Contact Us anytime to schedule a private showing for any property you find on this site or for more information on the community of Los Gatos and all Scottsdale area real estate.